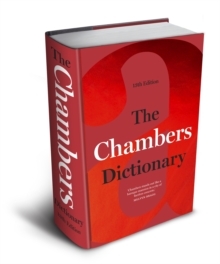 With over 25,000 quotations from over 4,000 sources, The Chambers Dictionary of Great Quotations is the category-leading quotations dictionaryWelcome to a treasure trove of the wittiest, most insightful, most famous and most important words uttered in history. 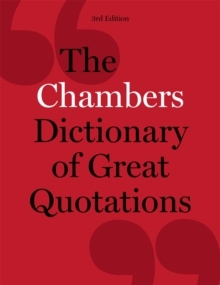 With more quotes than any other quotations dictionary, from more sources, with better international coverage and full author biographies rather than just a brief line, The Chambers Dictionary of Great Quotations is the only book you need. 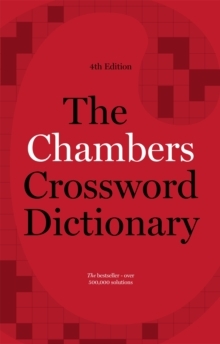 This new edition brings things right up to date with thousands of new quotations right up to 2015, mixing old favourites and new sources such as Barack Obama, Bradley Wiggins, Kurt Vonnegut, Arsene Wenger, Richard Dawkins, Seamus Heaney, Pope Francis and of course, 50 Cent. This is a browser's paradise stretching from ancient times to the present day. 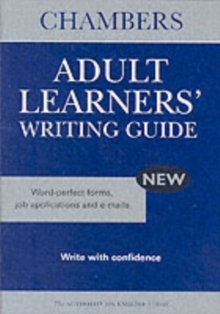 Entries are arranged alphabetically by author, starting with Diane Abbot's description of the United Kingdom's Parliament as 'a nightmare of elderly white males' and finishing with Facebook's Mark Zuckerberg telling us to 'move fast and break things'. Between those two extremes are just under 1000 pages of quotations, followed by a 350 page keyword index, so you can locate a quote even if you can only remember a single word or phrase. 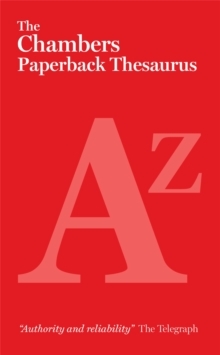 As well as literary quotations from important authors past and present this collection contains quotations from writers, critics, politicians and journalists.